Khmer New Year is an annual 3-day celebration in April in Cambodia. 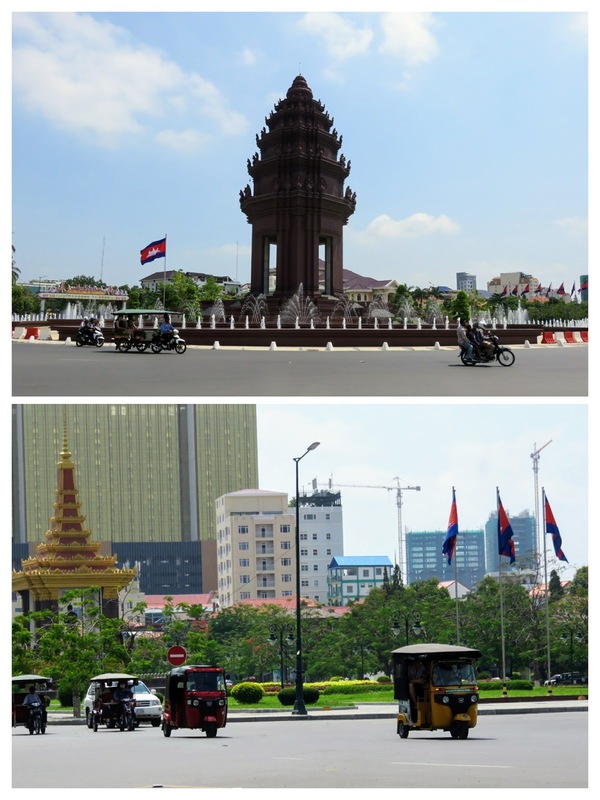 We visited Phnom Penh and Siem Reap in April and our trip accidentally coincided with the Khmer New Year celebrations. While we didn't plan the trip with the holiday in mind, we discovered that there are both pros and cons to traveling to Cambodia during the Khmer New Year celebrations. Phnom Penh has a reputation for having fierce and snarled traffic. During the Khmer New Year, it's smooth sailing on the roads of the Cambodian capital. There is much less traffic in Phnom Penh which is great both if you're driving or if you're trying to cross the street. Less traffic also translates into better air quality. We love experiencing local festivals when we travel. 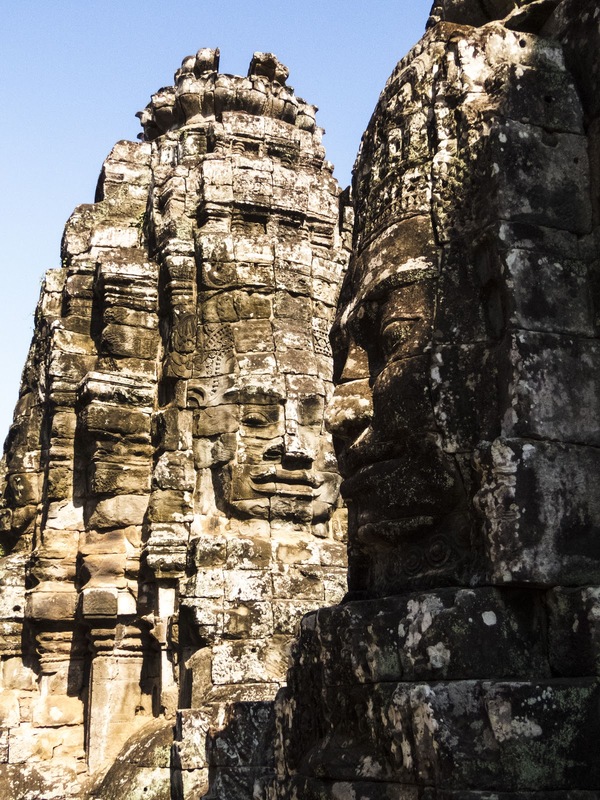 There are so many interesting facts about Cambodia and there is definitely a unique culture and traditions that might surprise you. In Phnom Penh, the Khmer New Year celebrations center around the 600 year old Buddhist Temple at Wat Phnom. Picnics, music, and line dancing all contributed to the festive atmosphere. 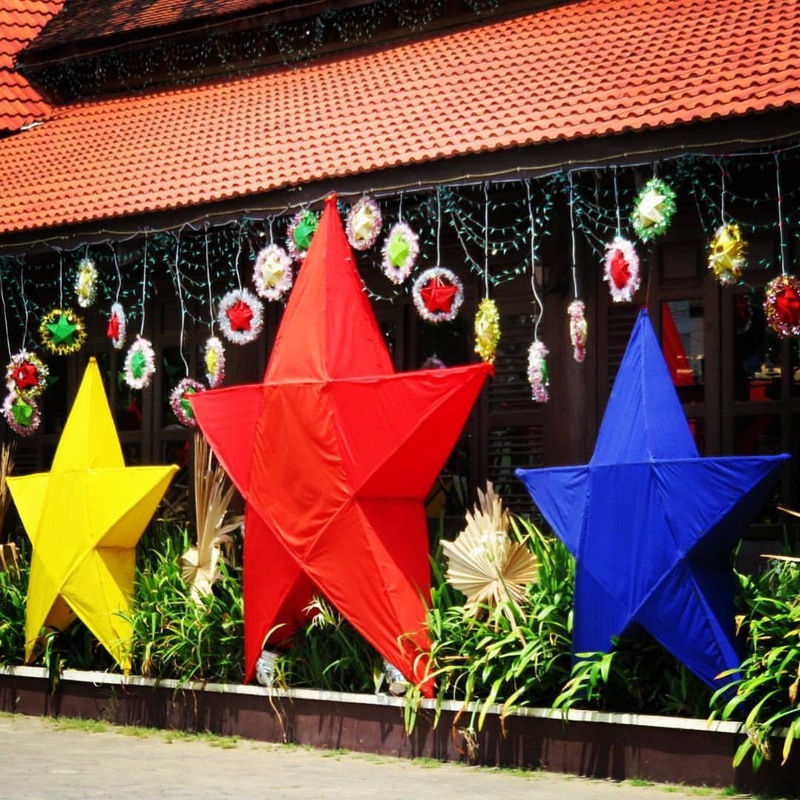 Cambodia goes all out in decorating for the Khmer New Year, particularly around Siem Reap. We really enjoyed the added bling that was left up even after the formal Khmer New Year celebrations had ended. 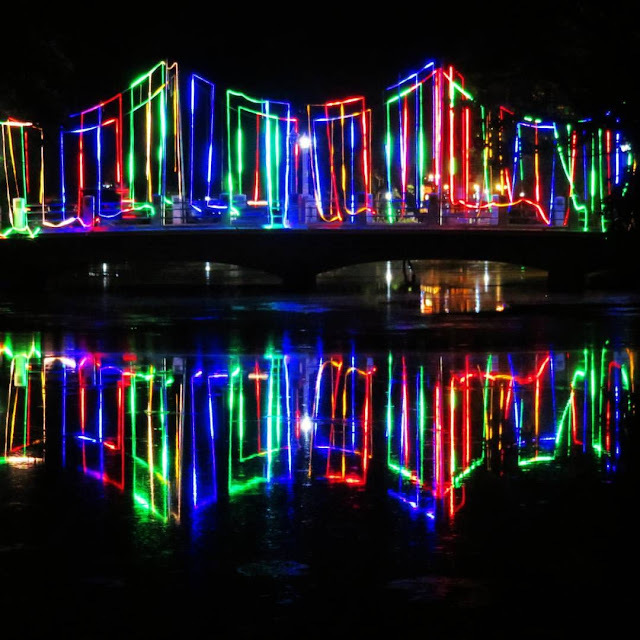 The bridges across the river in Siem Reap were bathed in neon for the holiday. 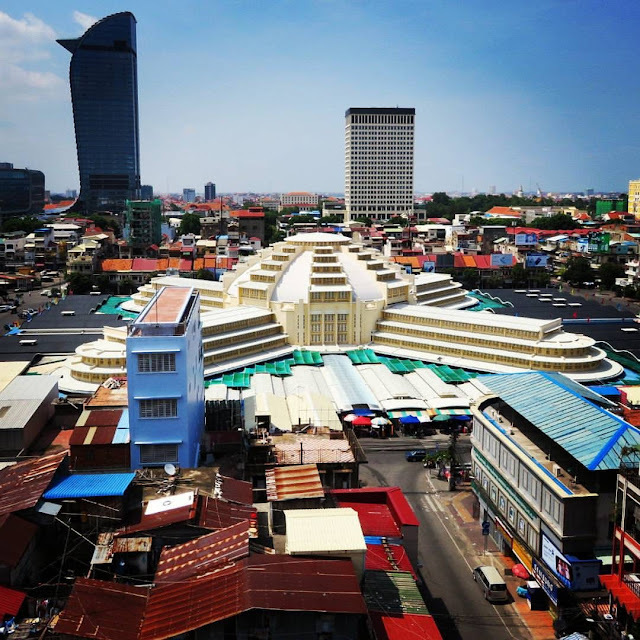 It can get quite crowded at certain attractions in Phnom Penh including Tuol Sleng Genocide Museum and the Killing Fields. During the Khmer New Year, we found that both places were very manageable and not overrun with tourists. Phnom Penh generally felt a bit empty. I don't like crowds so I consider this a pro but others might think it's a con because they aren't getting a true representation of the city. We were fortunate that Khmer New Year corresponded to our time in Phnom Penh. We heard from some visitors that we met subsequently in Siem Reap that this part of Cambodia was super-crowded and positively overrun. The temples at Angkor are always a popular place to visit in Cambodia, but throngs of people descend upon Angkor during Khmer New Year making it more difficult to enjoy and take good pictures without dodging copious selfie poles (definitely a con in my opinion). We also heard from the Australian tourists that we met in Siem Reap that water and powder throwing is an integral part of the Khmer New Year celebrations. They got caught in the cross-fire in Siem Reap which was fun for a while but then it just kept going after the novelty had worn off. The lesson here is: you will get wet during the Khmer New Year celebrations in Siem Reap. It is traditional for Cambodians to travel to their home villages during the Khmer New Year. That's one of the reasons that Phnom Penh was so quiet when we visited. A knock-on impact of this is that service in restaurants can be slow during the Khmer New Year since they are operating with reduced staffing (if they aren't closed all together). Most attractions were open when we visited but some things may be closed or limited. Most of the vendors at the Central Market in Phnom Penh had packed up for the holiday. Survivors of the genocide at S-21 prison during the Khmer Rouge regime typically set up tables at the Tuol Sleng Genocide Museum and visitors can talk to them and learn about their experiences. The survivors are less likely to be there during the Khmer New Year. As you can see, there are pros and cons to visiting Cambodia during the Khmer New Year period in April. 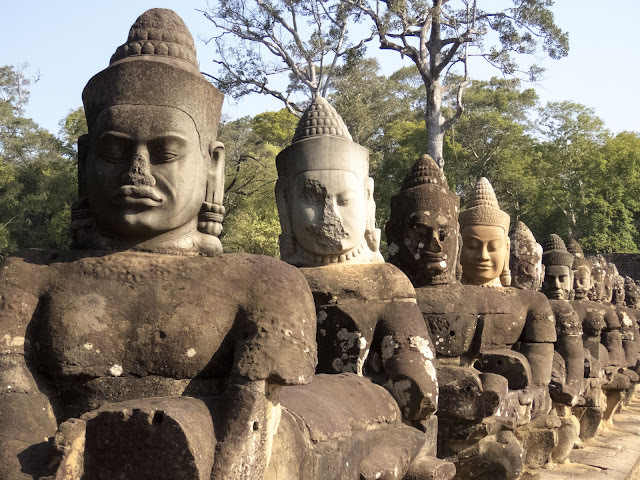 Have you visited Cambodia during a holiday period? What did you think about the experience? 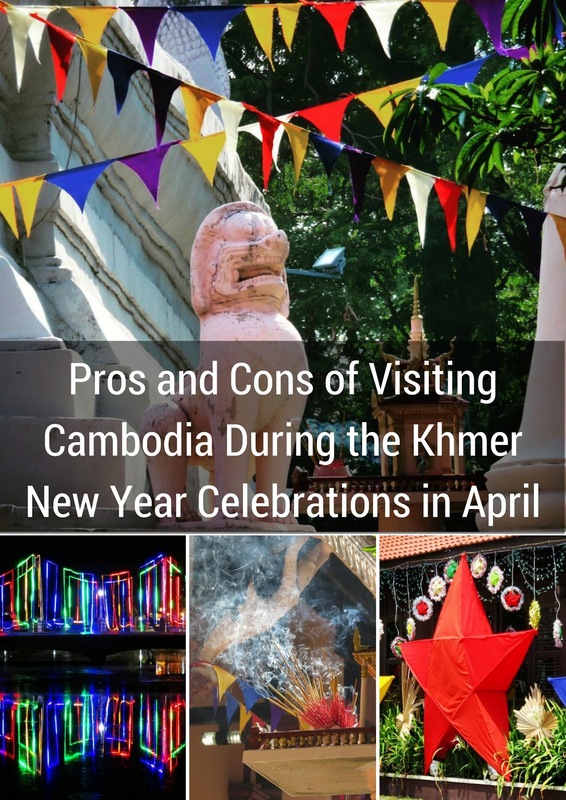 Find out the pros and cons of visiting Cambodia during the 3-day Khmer New Year celebrations. A photo-rich post by travel blogger, Jennifer (aka Dr. J) from Sidewalk Safari.